Here is a collection of my DIY audio endevours. 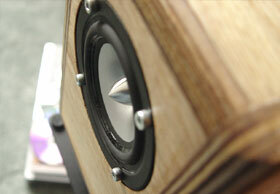 The projects below have been inspired by the hugely talented members of www.diyaudio.com. Also be sure to visit www.madaboutsound.com where you can find some of the audio components and kits used in my projects. 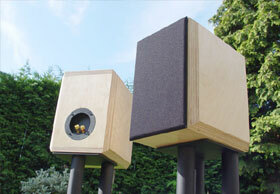 Linkwitz Orion Open Baffle Loudspeakers - The last loudspeaker? Fullrange monitors with CSS FR125S drivers in 9 litre ported enclosure. Fullrange monitor with Tangband W3-871S drivers and notch filter. Based on John Krutke's design. 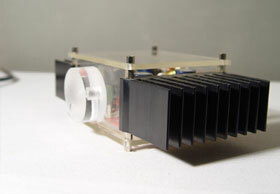 A subwoofer using a single Peerless XLS 10 driver (830452) and a single 10" XLS Passive Radiator (830481). Sealed MTM floorstanders using drivers from my old TDL RTL3's (Monacor SPH-175 and Vifa D20TD-05-06). A log of my journey into loudspeaker transducer design starting from scratch. Is driver break/burn in for real? What are the measured T/S effects? 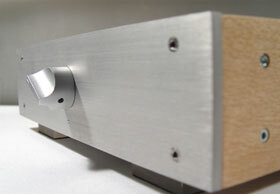 A DIY aluminium chassis and LM3886 power amp. LM3886 based power amp wire point-2-point with snubberised hi-cap PSU designed by CarlosFM. Tiny And Transluscent Chip Amp - TATCA. Seperate PSU and amplifier sections, Brian Bell's LM3875 kit. 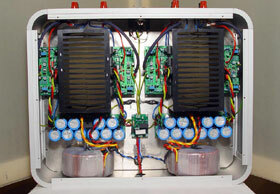 Custom built chassis and Brian Bell's LM3875 PCB's using basic and premium components. Includes blind test results. Cheap Non-inverted Gainclone (NIGC) using scrap components. Based on the LM3875 chip amplifier. A DIY microphone using a Panasonic WM-61A electret capsule. 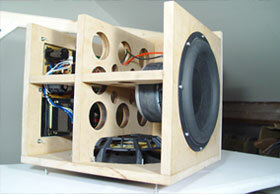 A DIY jig designed by Eric Wallin, used with Speaker Workshop to calculate driver T/S parameters. A cement filled stand to hold loudspeakers during impedance measurements. Calculate the standing waves for a standard rectangular enclosure..